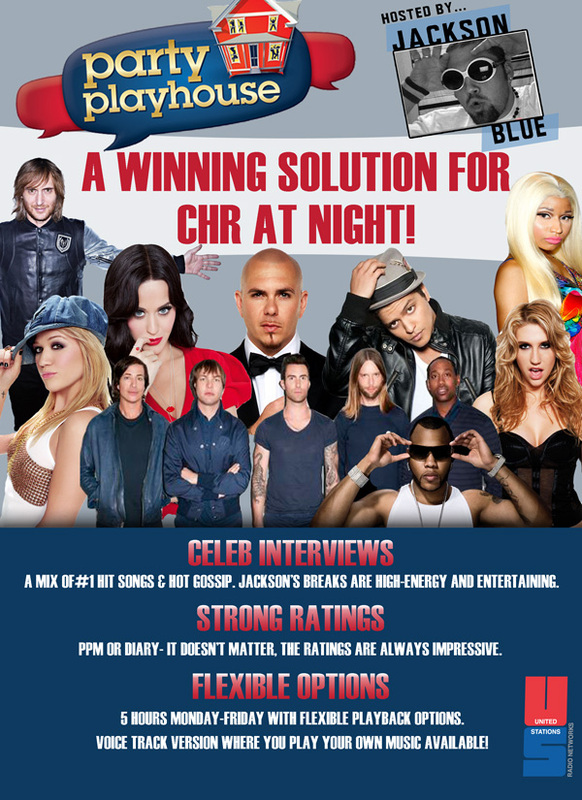 A Winning Solution For CHR At Night! Party Playhouse covers a daily daypart for your CHR or Hot AC station. Fed via-satellite 7p-12mid each weeknights, but voice tracks are also available for flexible airtimes and a play-your-own music option. Either way, you get the highly energetic on-air skills of JACKSON BLUE!